Where Do the Dallas Mavericks Go From Here? Even the longest reigns of success come to an end, and in Dallas it’s looking more and more each day like the Mavericks’ twelve year tradition of postseason basketball will come to an end this season. Last summer’s free agent sweepstakes didn’t reward Mark Cuban with Deron Williams, it didn’t see him trade for Dwight Howard or land any other franchise player for that matter. Instead, the Mavericks opted to assemble a lineup of veterans with one year contracts leaving a ton of salary cap space for Cuban to attempt to make a move that can help the team rebuild after this year. Maybe, however, the answer for the Mavericks isn’t looking for big free agent names to attract next summer, maybe the best thing is for them to swallow the fact that this season is quickly turning into a lost cause and hope they can get a top five pick in the draft by way of a lottery draw miracle. Maybe, this team needs to rebuild in the same way it built its way to a championship in 2011, by drafting a franchise player and building around him over the long term. Doing this with Dirk Nowitzki over the years certainly tested the fan’s patience, but ultimately resulted in a title. The Mavs know what it takes to draft a superstar player and surround him with the right pieces. While this team has some great names on it and a fair amount of talent, the make-up of this squad is weak, old and needs refreshing with just one third of the season gone. Plainly said, this Mavericks team is bad and is beginning to slip further and further into obscurity after a 111-86 loss to San Antonio last night that brings the Mavericks to 12-19 for the season. This team is a far cry from the group that won the title in 2011, having seen key pieces like Jason Kidd, Jason Terry, Tyson Chandler and Caron Butler all move on and this team is finding ways to lose by big numbers that are sometimes astounding. Against San Antonio on Sunday night, the Mavericks managed to outrebound, move the ball better and outscore the Spurs in the paint and on the break yet somehow lose by 25 points. Dallas is usually a decent three point shooting team, but against the Spurs they went 1-of-16 from three point range and 40% from the field. With Dirk Nowitzki aging and recovering from injury, it’s unlikely he’ll be able to throw this team on his back and carry them to victory as he has done in seasons past, a point supported by his rusty 8 points on 3-of-9 shooting last night. Over the course of the season, Nowitzki may experience more injury troubles or may never have the impact he has been able to provide traditionally, leaving Rick Carlisle with a team that is void of a superstar and doesn’t have the necessary skills to win consistently. The Mavericks have lost nine of their last ten games and are currently on a six game skid. Over their next six games, they will face three opponents with a worse record than their own and will need to collect a victory in each of those contests just to keep their heads near the surface of the water. With Derek Fisher having jumped ship on the Mavs, the team remains without a point guard capable of seriously leading them into the future. By now, it’s become clear that Darren Collison is not that guy and Dominique Jones lacks the offensive skill to provide the kind of ball movement and playmaking this team needs. The preferred option for Cuban has often seemed to be the market when it comes to building a team, but Carlisle and his staff showed last year that they can use the draft to their advantage by taking Jae Crowder in the second round. But, that kind of long shot pick isn’t going to suffice now. If the Mavs can land a high first round choice, they can chase a point guard that could help lead them into the future, as they usher out the Nowitzki era and use Cuban’s available funds to chase a Josh Smith type superstar player that will revamp the face of the franchise. While Cuban has done great work to clear cap space and prepare the organization to be competitive in the market, Dallas’ best hope for total reconstruction is to get into the draft lottery this year, play the odds and hope to receive a pick that brings a foundational player to the franchise. A player that Cuban’s market savvy mind can build around with free agent signings and trades rather than trying to build through the market maneuvers themselves. Where Do the Arizona Cardinals Go from Here? NBA Rumors: O.J. Mayo to Mavericks; Where Do Bulls Go from Here? Where do the Nebraska Cornhuskers Go from Here? 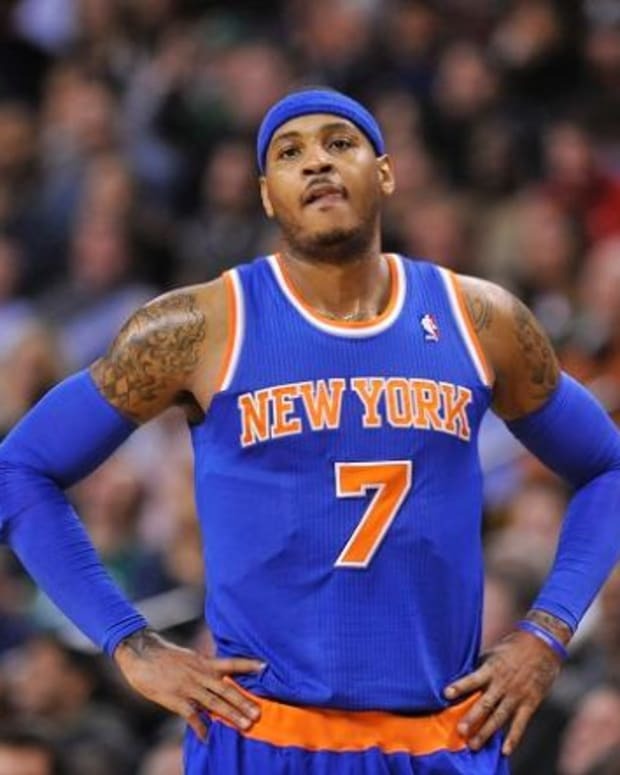 Where Do the New York Knicks Go From Here? Where Do the Oakland Raiders Go From Here? Where Do San Francisco 49ers Go From Here? MMA Analysis: Where Do Stars of UFC 142 Go From Here? Where Do the San Diego Chargers Go From Here?